Aaron McCalla Shows “THE FOURTH VALVE” tm True Versatility with the Naples Phil. 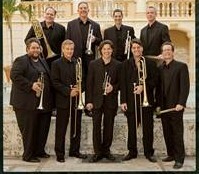 The Naples Philharmonic does it all: from concert orchestral music to accompanying the Miami City Ballet when in Naples to pops and chamber music. Their tubist, Aaron McCalla, goes even further as a featured soloist, recitalist, rock musician, and solo tuba in the virtuoso Brass Miami. 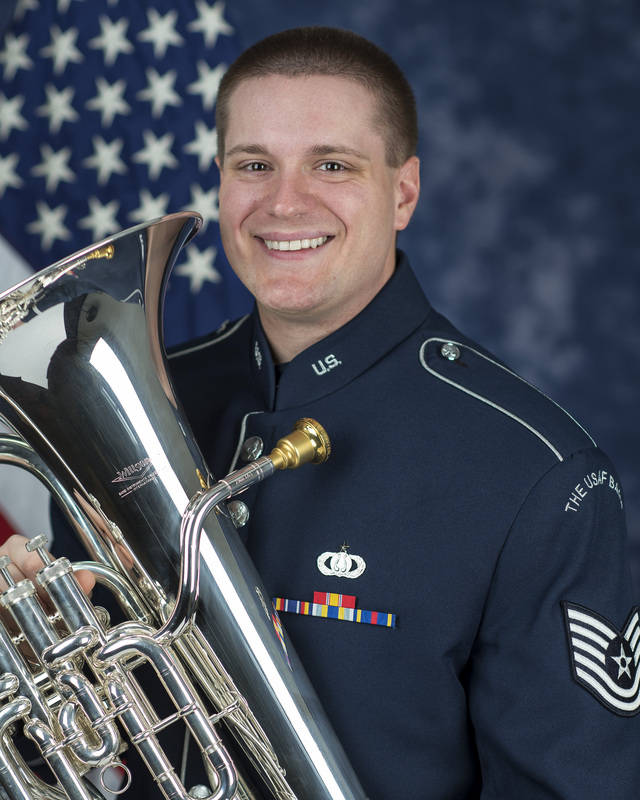 McCallastudied at Southern Methodist University, the Juilliard School and the New England Conservatory and has held the position of principal tuba for the Colorado (Denver) Symphony Orchestra. His occasional performances include the New York Philharmonic, the Boston, Albany, Vermont, Rhode Island, Jacksonville symphonies and the Boston Pops. In addition to his orchestral duties, McCalla is a member of the band LNE and performs to packed houses throughout Central America.From Tanglewood to funk, McCalla has a the appropriate bass line, and davidbrubeck.com is delighted to host him in “The Fourth Valve” tm. 1. Breathing is key to wind instruments, none more so than the tuba. Can you discuss your journey of awakening with regards to breathing. What did your teachers emphasize, and what have you discovered on your own? Breathing is absolutely key. I have to be honest though, I have never thought too much about it outside of making sure that I am being efficient. My first teacher in college, Matt Good, was probably my biggest influence. Until I met him, I didn’t know that there are many different types of breaths you have to master. Every breath is different but has to be as efficient as any other. I have always loved sports and running. I feel like the breathing required for sprinting or swimming is not exactly like that required for tuba playing, but it helps tuba in every way in that it requires you to be able to pull in maximum volume of air. When swimming laps, I am not analyzing my breathing, I am only thinking, “I need a breath!” So, when it comes to tuba I just try to take as much in as I would in sports but in a relaxed and musically appropriate way. In the end, I try to not paralyze myself with over analysis of something I have been doing since birth. 2. How do you achieve a more musical expression? When I play, I am always singing in my head. Not only does this make me feel like I have a better voice than I do, but it becomes somewhat of a collaboration. It is me accompanying and trying to copy the singing voice that I hear. In addition to this, I am always trying new ways of playing the same thing. Many times, the way I practice a phrase is not recognizable to the final product, but without experimentation and failures, I find it hard to really know what I like and want to say musically. 3. Who are you inspirations? I have been so lucky to have great mentors in my life. Musically, Matt Good of the Dallas Symphony, Warren Deck, and Mike Roylance were my teachers but they all played a much bigger role. With Matt, it was his no nonsense approach that taught me to practice the right way and what the road ahead was really like. With Warren, it was just so special to be in the presence of an absolute master of life. It is impossible to be around him and not learn something, whether it is about tuba or whatever else was being discussed. With Mike, it was learning how to be a better professional and also being in the presence of a man who was at the top of his game all of the time. All three of them not only inspired me musically but also non musically. My biggest non-musical inspirations were my parents. They taught me you really can and should give unconditional support to your loved ones while they are chasing their dreams, on the condition they are working as hard as possible. It’s probably not most parents favorite thing to hear you might not be going into the medical field and are going to chase after a dream with less prospect of employment than an NFL quarterback and infinitely less income. How can one not be inspired by this love and support? The Philharmonic in Naples is a special place. Please describe your job. How do you switch hats so seamlessly? 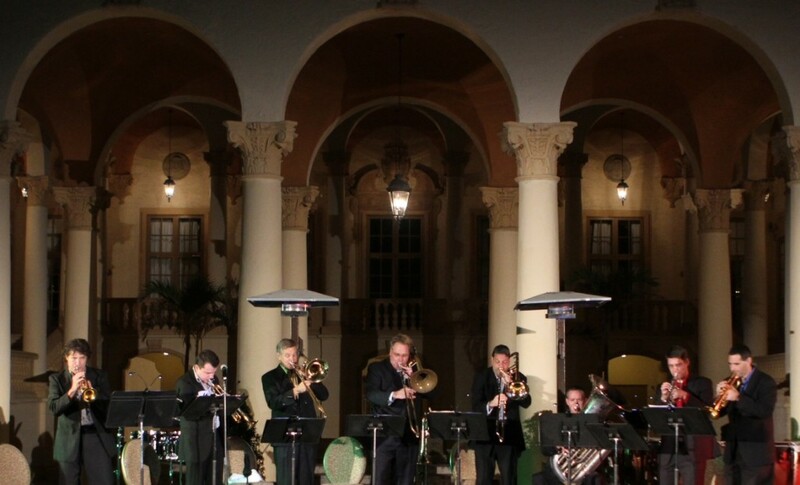 I love the Naples Philharmonic! It is indeed a very special place that I had not really heard of before I took the audition 10 years ago. One of my favorite things about it is the varied schedule. We go from masterworks to ballet to opera to quintet to children’s shows to pops. I think this variance keeps my mind engaged more than if I were in an orchestra that played mainly the classics. For me it is a dream to have a job where I get to do all of those things in one place. What makes it so easy to switch between them is the people I work with. They are world class individuals, musicians and colleagues. When everyone is that way, all you have to do is show up prepared and things work themselves out quickly. What was your warm-up like during college as opposed to now? Is there a big picture that you try to keep in mind? In early college I had less of a routine than I did later. Early on, it was a little bit disorganized, but when I met Mike Roylance, things changed. He had a full routine that covers all the elements of playing that need to be practiced every day. I still do it in some form or another now. I know that if I can get through it and play it well, I am still in shape enough for anything I will see on a page. 6. What are your thoughts on each, and when do you use them? I generally take my F tuba into quintet or solo situations. In orchestra, I use it whenever it makes the job easier! Ha. It’s very true, that I think of my instruments like a carpenter does tools. You use the correct tool that does the job best and easiest. I have an old, Holton Eb that needs a lot of work done to be playable. One day I would love to bring it into quintet because I think it would add the breadth of tone that F sometimes lacks. My C tuba is my main instrument. It does find its way into quintet, but is mostly my go to orchestral horn due to it’s 6/4 size. It’s also my daily routine tuba. If I can achieve what I want on C tuba, it’s even easier on F.
I have not played much Bb since high school. I think they are hard to beat when giving a band or orchestra a solid bass, but my training and teachers showed me the ways of the C tuba and they are expensive so I needed to choose one or the other! Tuba “out-of-the-box”. Which unusual places have you heard or the tuba that are unexpected but good? What have you imagined? My favorite out of the box place to play tuba was in my old rock bands, LNE and the Kate Priestly Band. We had no electric bass, only tuba, so it was up to me to keep up with the drummer and lay down the grooves. I am biased, but I love the accoustic sound of a tuba on bass lines in a band. The best thing about it was I never felt the need to practice while with the band. 3 sets of constant bass line a night is all you need! This is a hard one. 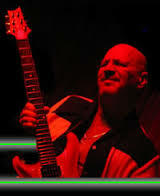 I heard Sam Pilafian years back in a Traveling Light show that was mind blowing. Recently I heard Oystein Baadsvik live for the first time. He is just unreal. But, really, the best day in day out playing was from my teachers Matt, Warren and Mike. The chance to be one on one with these masters and hear them demonstrate things exactly as you wish you could play them is special. I felt selfish that it was just me as their audience. Matt has the warmest tone ever. Warren could fill a room of any size and Mike could do absolutely anything. What is the best tuba playing you have ever done? This is probably the hardest question. In general terms it is when I have performed a show and feel like I have made it easier for my colleagues to shine by giving them a solid foundation to sit on. In the end, I hope I haven’t peaked! 10. How do you balance your musical and non-musical life? I am lucky because for me, this is easy. I never feel like I am balancing the two. They just fit seamlessly together. I love the feeling of being on a team. So even outside of the orchestra I play in a soccer league. I have great friends at and away from the orchestra, so I never feel like I am just one thing or another. Being a husband, father, son, performer, etc. is such a fun combination. When it comes to getting the work I need to get done on tuba, it helps to have an amazing wife who not only tolerates tuba practicing but enjoys it. It all comes down to never feeling like I have a job that I have to trudge to. I really enjoy the variety that life presents and never take anything too seriously.